The next entry to the long-running, never-ending Assassin’s Creed franchise is called Origins and, as the name suggests, takes the franchise back to its roots. 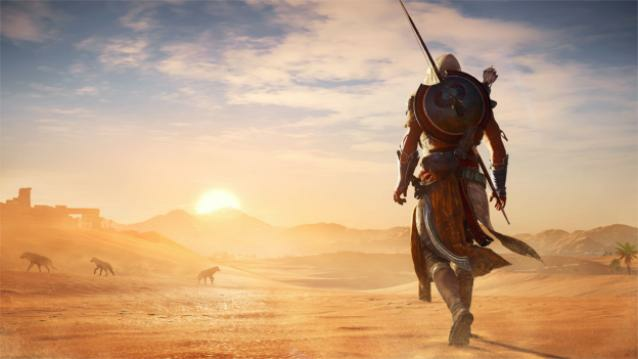 It’s set in Egypt and is an open-world game that seems to borrow heavily from the action-RPG genre, or so reports suggest. The game was unveiled at the Microsoft briefing at E3 2017 and Ubisoft has since revealed a number of gameplay videos that highlight various aspects of the game. Key among these appears to be a hawk, which you can use to scout out targets à la Far Cry Primal. As far as the story is concerned, you’re now playing as Bayek, who Gamespot describes as “basically an Egyptian sheriff”. The few gameplay videos we’ve seen look promising, but this is Ubisoft and Assassin’s Creed we’re talking about, so we’ll reserve judgement, and excitement, until the final game ships, which should be on 27 October. The game appears to have a deeper, RPG-style skill tree now, which allows you to expand warrior, archer and rogue skills. Judging by the released gameplay videos, combat does seem a little bit more fleshed out than we’ve seen in previous Assassin’s Creed titles, with counters, dodges, etc. all making up the flow. The game is expected to fully support 4K gameplay on the Xbox One X at launch.